Have you heard that you snore a lot? Has anyone ever told you that you stop breathing for seconds at a time while you are asleep? Do you wake up with a dry mouth or a headache? Are you regularly sleepy during awake hours often with attention difficulties? If you can answer yes to these questions, there is a chance you may have sleep apnea. Many other symptoms have been attributed to sleep apnea although not quite proven such as restless leg syndrome, among others. 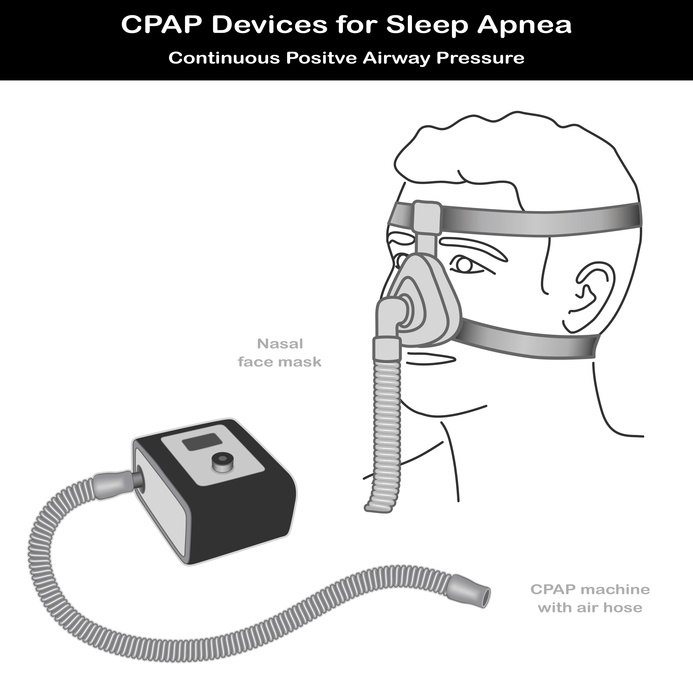 Cpap stands for continuous positive airway pressure therapy and cpap machines are used to treat sleep apnea allowing for better breathing which in turns means better sleep. Cpap machines increase the air pressure in the patient’s throat which stops the airway from collapsing when breathing in. This is often what happens in sleep apnea patients and that is why they can stop breathing for a small period of time when sleeping. In simple terms, sleep apnea causes are generally because of the muscles in the back of your throat relaxing. The muscles there offer support to a piece of tissue that hangs from the uvula as well as the tonsils and the tongue. If these muscles relax, the airway closes and the person isn’t able to get enough of a breath. If the patient is unable to take adequate breaths, the body will wake up the patient so that the airway can be reopened. Usually, this episode is so short that usually the person does not even remember it happening. Snorting, choking or gasping sounds are often heard and can be as often as five to 30 times every hour. Because of this, reaching a deep and restful state of sleeping becomes difficult making day time hours sleepy also. Cpap machines are the most common type of treatment for sleep apnea. Cpap masks, nasal pillows and other kinds of applications can also be used in order to facilitate ease of use for the machines. If you suspect that you have sleep apnea and are experiencing any of the symptoms mentioned in the beginning of this article, you should get an appointment with your family care doctor as soon as possible to find out about available treatments to help improve the quality of life. Even if you think that is it not that big of a deal, making sure that your health is in top condition is extremely important. You will never really know how good you can feel unless you have a doctor assess you and find out exactly how the sleep apnea is affecting you. Having trouble staying awake can not only be frustrating but it can also be dangerous. Driving, for example, can because a hazard to you and others around you.